There are few markets around the world that hold as much potential for MFS as Indonesia. Home to almost a quarter of a billion people, only 20%, however, are banked, and an estimated 17% of households have no access to any financial services, whether formal or informal. Credit card usage is practically non-existent, and only 11% of over-15s have a debit card. Combine these facts with the country’s challenging geography (over 6,000 inhabited islands), and you have what could be considered the perfect environment for mobile money to take off. And yet it hasn’t. Until a little over 12 months ago the country had only three mobile money deployments, the same number as Namibia (population two million). That number has now risen to 6. What has been holding MFS in Indonesia back? One of the initial barriers in Indonesia has been a very low number of agents with the capacity to provide the cash-in and cash-out services that are the backbone of any successful mobile money deployment. The country’s first MM service, TCash, launched in 2007, and yet by 2011 only around 1% of Telkomsel’s 500,000 airtime dealers were T-Cash agents. Without sufficient incentives from the MNO, mobile money in Indonesia was caught in the “chicken-and-egg” problem that plagues the deployment of many new payment services. The problem was compounded by concentrations of agents in large urban areas, stymying the development of urban-rural remittance channels as a catalyst to widespread consumer adoption. With around only five million registered users and low profit margins for agents, maintaining the liquidity necessary to function as a T-Cash agent was unattractive to many of the micro-enterprises that sold airtime. And perhaps even more significantly, T-cash agents were not permitted to cash-out (but could put funds into the system) without being licensed by the central bank, Bank Indonesia, as a licensed money remitter. This was based on a misunderstanding of the role of the agent, whose function (in a cash-out scenario) is to convert e-money into cash. Unfortunately, in Indonesia the agent was viewed as being a remitting agent, rather than merely the seller of e-money. Unsurprisingly, the onerous requirements for obtaining such a license were simply not worth the candle. Agent-led branchless banking was similarly outlawed, so for several years it appeared as if MM in Indonesia was going to splutter into the dark. In the case of Indonesia’s path to financial inclusion, one can see two of the main barriers to success in MFS converging into one: a weak mobile money agent network and an unconducive regulatory environment, wherein the latter impeded the strengthening of the former. Relief appeared to be on the way in early last year when the licensing requirement for cashing-out for “Cash Payment Points” was lifted, yet the straightjacket of burdensome Know Your Customer (KYC) requirements remained in place. Another false dawn for mobile money had arrived. None of which is to say, of course, that Indonesia is lacking in innovation: as was seen in last week’s Mondato Insight, there are players in the market open to taking innovative and disruptive approaches to offering financial services through the mobile channel in the country. The nation’s ATM network is growing, and cardless ATM withdrawals are commonplace. Moreover, Indonesians love their mobile phones, and among those who have internet access, the majority access the web and social media via their phones. Smartphone ownership has been predicted to hit 40% by the end of next year. The country is the world’s third largest Twitter market and the fourth largest market of Facebook users. 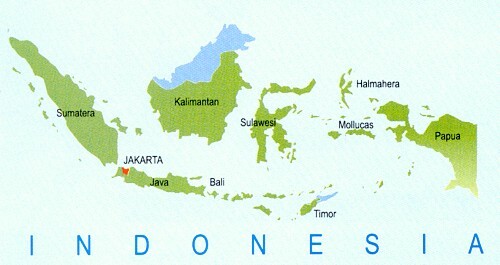 Indonesians send out over 1 billion tweets per month, making Jakarta the “tweetiest” city in the world. Some predictions see the numbers of internet users in the country passing 150 million with in 2 years and, crucially for the potential development of the payments ecosystem, instant messaging apps are wildly popular, and themselves the origin of some uniquely Indonesian mobile financial services. One such innovation is the wildly popular private message group auctions of goods that take place within messenger apps, by invitation only, rather like a private eBay, but without a PayPal-style payment option. For the Indonesian market, in addition to the general popularity of social media, this creates a unique value proposition for consumers, who currently still have to find alternative methods to send and receive payments for the seller and auction winner. As previously noted in a Mondato Insight that examined the potential future role of social messengers in igniting payments, Indonesia has the potential, in the right regulatory environment, to become a trailblazer in MFS. Indonesia’s MNOs, despite the significant challenges they face, are not sitting idly by, and are innovating within the confines of what is currently possible for them. Interoperability for the three MNO mobile money deployments was announced in 2013: customers of TCash can now send and receive money from users of Indosat’s Dompetku and XL’s Tunai. The transfer is of full value into the competing system, rather than a redeemable voucher that could be cashed out with an agent. Nonetheless, regulatory considerations were never far from the MNOs minds, and one of the core challenges that had to be addressed was how to ensure that each deployment’s AML/KYC procedures were complimentary but without unnecessary duplication. This all comes at a cost, however, with the result that senders must pay IDR 2,000 (approximately USD 0.20) to send money across networks. The Global Broadband and Innovation Alliance (a collaboration between NetHope and USAID) has been working through the eMitra program with the Indonesian government to try and overcome some of these challenges, specifically generating market interest, demonstrating the business case for mobile banking, funding experimentation with different business models, and testing and building capacity. As highlighted by Mondato Insight last week, poor user experience and product design remains an issue in the country. The GBI Chief of Party for the eMitra program, Joey Mendoza (who will be a speaker at Mondato Summit Asia in Singapore in November) told Mondato that both these areas need to be revisited by MFS providers. Many of the current offerings, said Mr. Mendoza, were “simply difficult to use and very cumbersome” for base of the pyramid users. Nevertheless, Shelley Spencer, NetHope’s GBI Program Director, was keen to highlight to Mondato in an interview that among the banked in Indonesia, mobile banking exists in strong force and is widely used, reflecting the strength of the traditional banking sector. The e-Mitra project has been flagged by the government as the start of a “non-cash national movement” that is committed to financial inclusion; however the regulatory environment remains in flux, with changes in the law happening only slowly, while the reorganization of the regulatory authorities is slowing down the process in the short term. As with many other jurisdictions, until the appropriate regulatory framework is in place, Indonesia’s huge untapped potential will remain just that. Although there exists a sense of deja-vu among MFS practitioners, the hope exists that 2015 will bring the necessary changes, at least for Shelley Spencer. “We hope that in this next year the right regulatory framework will be in place in Indonesia”, she told Mondato. The private sector in Indonesia is ready to rise to the challenge, they are just waiting for the chance to prove it.